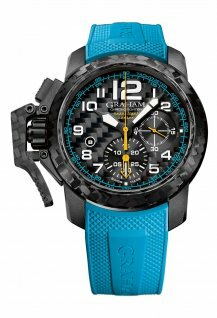 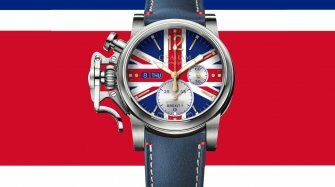 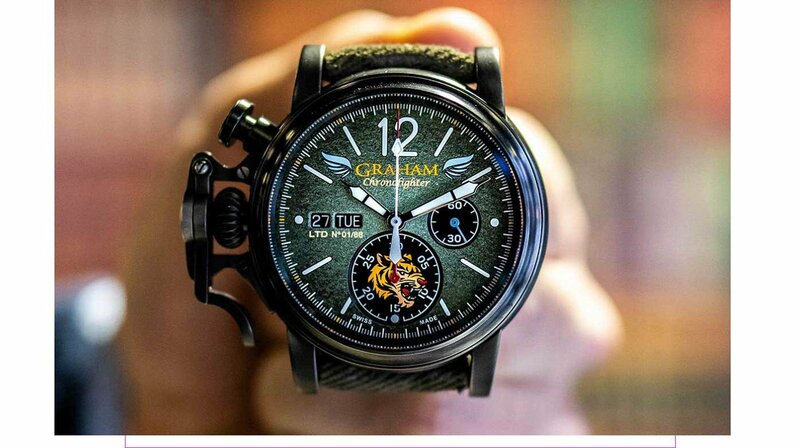 The Chronofighter Vintage Aircraft Flying Tigers pays tribute to the First American Volunteer Group (AVG) of the Chinese Air Force, which was nicknamed the Flying Tigers. 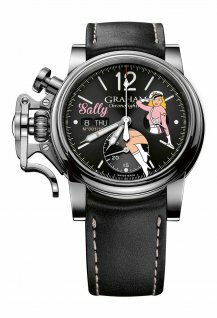 The group consisted of three fighter squadrons of pilots from the United States Army Air Corps, the US Navy and US Marine Corps, recruited under presidential authority. 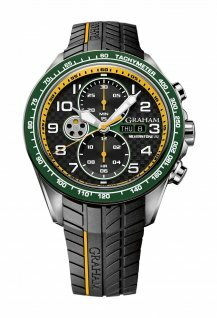 The tiger insignia symbolises the tactical power to fight and win and is also a sacred animal in Chinese culture. 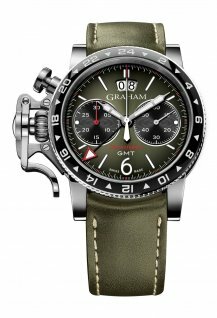 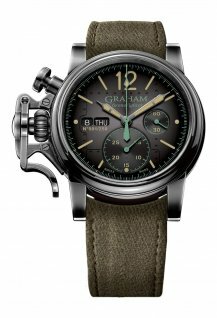 This limited-edition model of the Graham Chronofighter pays tribute to this group, which first saw combat just days after the attack on Pearl Harbour. 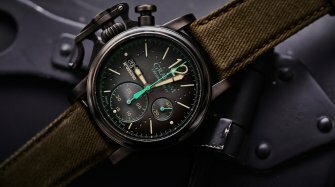 It comes in an aged-steel case with a gradient green dial and an aged cotton canvas strap. 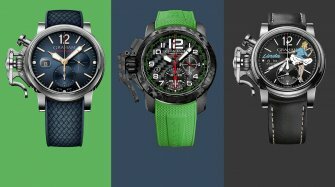 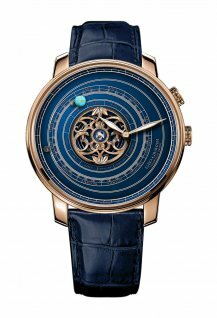 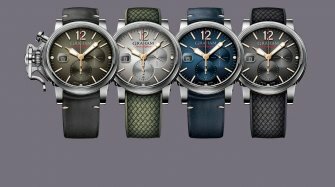 Based in La Chaux-de-Fonds in Switzerland, Graham preserves the legacy of London clockmaker George Graham, developing modern timepieces that combine sophisticated techniques with an atypical design.